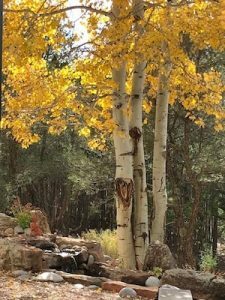 I’ve never traveled to the Southwest in the fall before. It was quite an adventure to experience so many different types of weather and see trees changing colors. I had fun at my book events and spending time with friends and family too. 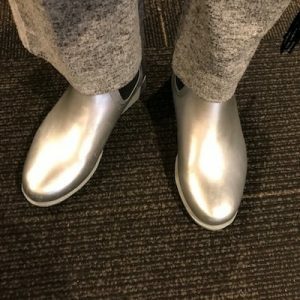 AUSTIN, TEXAS – I flew into Austin during a flash flood warning but I was prepared in my new silver rain boots. Fortunately they didn’t set off any security alarms as I was leaving the San Diego airport. 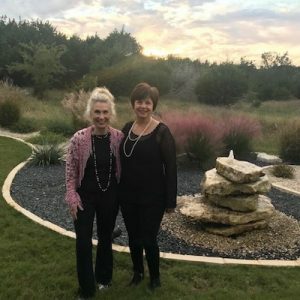 I stayed with my friend Debra and we had quite the gabfests. I met her twenty years ago taking modern dance classes. Her mother hosted a wonderful party for me and now I really understand what southern hospitality means. 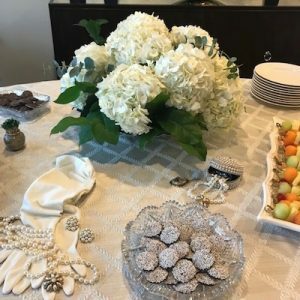 She decorated the table with vintage gloves, pearls and nonpareil candies. 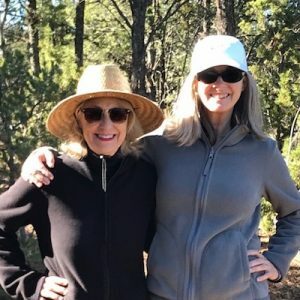 SANTA FE, NEW MEXICO – My brother Todd and sister Leslie both reside in Santa Fe and had a lovely cocktail party for me and my silver shoes. We also went vintage shopping (of course), hiking, and to hear Todd give a lecture about the history of immigration in the United States. The weather was perfect until the day I left as a snowstorm waved good bye. Hiking with my little sister Leslie. 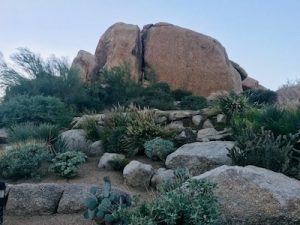 CAREFREE, ARIZONA – Then to the Boulders Resort for a retreat with my publisher Brooke Warner and my She Writes Press sisters. I also got to hang out with Julie Metz, the incredible designer. I always say my books sell well because of her beautiful covers. I experienced some firsts too; saw a roadrunner, in a yoga class the instructor played her ukulele while singing “Somewhere Over the Rainbow” during shavasana and I spoke on an “As Me Anything” panel. Now I’m home getting ready to give a talk at the Women’s Museum of California on December 9 from 4:30 – 5:30. My topic is “How Photographs Have Inspired My Writing.” It would be great to see some of you locals there. 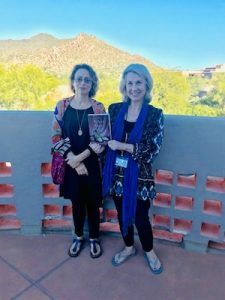 Thanks for the quick tour of your Southwest Book Tour, Jill. Gorgeous photos and sounds like a rich time. I’ll look forward to being with you at the Women’s Museum on Dec. 9. Until then… shining up my silver shoes for the holidays. Judy – You always look so pretty in your silver shoes! Sounds like a wonderful trip that has filled you with creative inspiration for what is next! Thanks for sharing and looking forward to the Women’s Museum on Dec. 9. Emily – I so look forward to having you there!